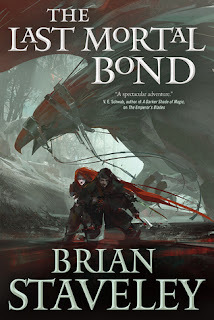 With the publication of The Last Mortal Bond, Brian Staveley bids a fond farewell to The Chronicle of the Unhewn Throne. 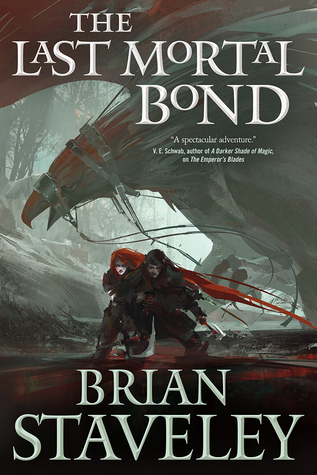 Looking back on the scope of the story and impact it's had upon the genre, it's hard to believe the first book only hit shelves a little more than 2 years ago - and even hard to believe it was his debut work. This is the kind of series that has only gotten bigger and bolder as it's gone on. 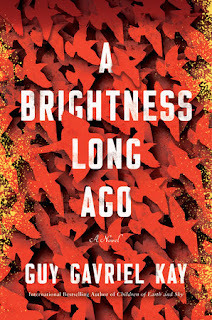 The first seemed a rather intimate, close-knit tale of family legacies, woven with the threads of political treachery. While there was an element of the magical to it, it was largely a tale of human struggles . . . or so it seemed. 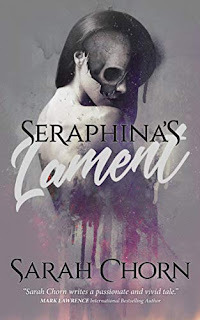 It was in the second book we learned what lay beneath those struggles, with Staveley ripping open a whole new story of world-shattering mythological significance. Coming out of that second book I was a bit worried that the mythological would overwhelm the familial, but I am in awe of the way threads come full circle with The Last Mortal Bond. Somehow, even as it reveals deeper complexities within the centuries-old mythological struggle (revealing that it's the fate of humanity, not just an empire, that's truly at stake), this final volume manages to put Valyn, Adare, and Kaden firmly at the forefront. Here we have three siblings, already weighed down by a family legacy, now faltering under the weight of world-crushing expectations, with no idea of who or what they can trust. There's an entire story hidden within each sidelong look, each secret withheld, and each lie so carefully crafted. More than all of that, though, this is a story about humanity . . . about the human condition . . . and what it is about us that makes us so fascinating (and terrifying) to the gods. Ironically, for a book that's so big and so bold, it's almost the most bloody of the three. While we're aware of the larger conflicts taking place, and are doubly aware of the casualties piling up, it's the one-on-one conflicts that are the most terrible. Valyn's chapters are especially dark, taking the story to places even deeper and more deplorable than the underground caverns of the slarn. Adare may have made a pair of huge sacrifices for what she thinks is right, but her brother is forced to make one after another after another. As for Kaden, he seems to be taking the most heroic arc of the three, compromising family for the sake of politics, peace for the prospect of survival, there's no question that his decisions are some of the hardest to justify. 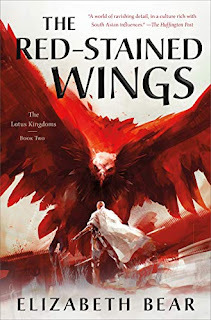 Other characters, many of whom we'd be forgiven for assuming lost, come back into play as well, with the dual story lines around the Kettral and Valyn's lost wing some of the most intensely satisfying. For a long time I couldn't see where it was all headed. I knew the plots and counter-plots (or, at least, I thought I did), and I could see where certain character arcs were headed, but how Staveley planned to resolve everything was a complete mystery. Fortunately, it was also a genuinely remarkable surprise, with a climax that delivers on the potential of all three books, and which does justice to the myriad themes, conflicts, and struggles. All in all, the perfect ending to a fantastic trilogy. He knew when to wrap it out. March 15 - that's today. Need to snag the first in the series. I do like stories that focus on the human condition. The plot sounds great! I posted a release day review too. Agreed that this was the bloodiest, darkest of the three books. Surprised you didn't mention much Gwenna though! She was the one who really stole the show for me. I enjoyed the whole story of Gwenna and the lost wing, but it was the conflicted loyalties of the siblings that kept me reading. Agree this was a fabulous ending to the trilogy! Definitely darker than the others! Oh, absolutely - it all seemed so hopeless for a while there, like there were no good choices.